Treat them to a special surprise! 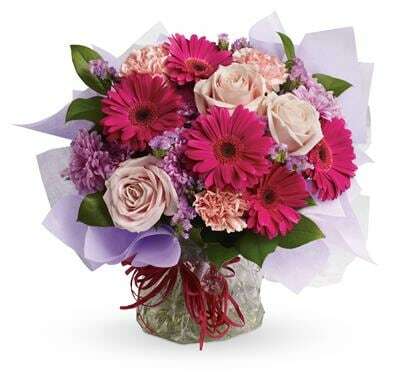 Hot pink gerbera mix with pale pink roses and carnations in this delightfully delicious bouquet, beautifully displayed in an aqua pack. 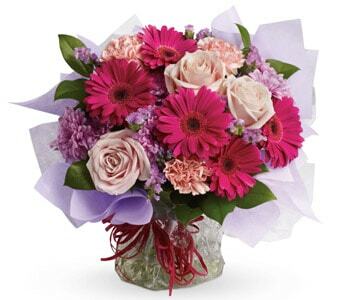 Please note that this bouquet does not come in a vase.